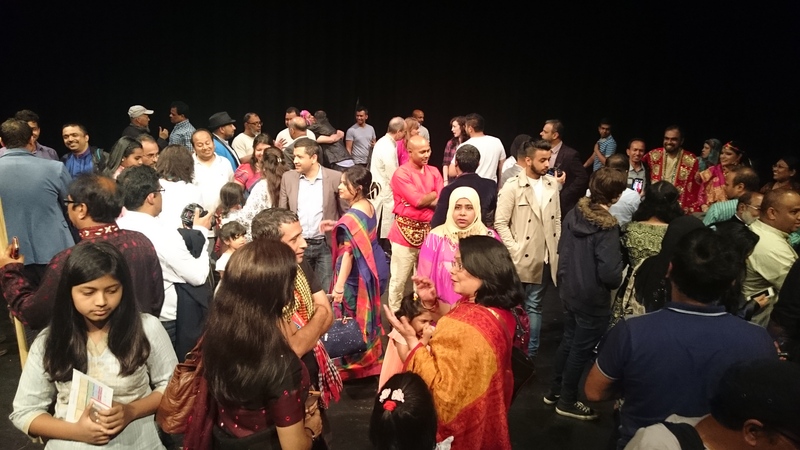 Monday 25 July saw a fascinating performance at Manchester’s Z-Arts theatre by ADDA, a cultural arts group which draws its members largely from the Bangladeshi community. For me, it was a most special event. ‘Nripoti’ (The King) is a play by Humayun Ahmed, a famous and well-respected Bangladeshi writer. A simple play loaded with strongly symbolic meaning, the story tells of a king who is both naive and despotic. He bribes everyone he meets to do his will – beginning with a common man who finds the King lost one night on his way home, persuading him to let the King ride on his back all the way to the palace. At the same time the King doesn’t wish to hear of sufferings of the people during the harsh winter and instead wants to make believe that the birds are singing, the flowers are blooming and all is right with the world. As characters ‘bend’ to the king’s pressure to give in to their own greed, so they bend double physically and remain as hunchbacks from then on. Even when one character is momentarily persuaded to remove the riches burdened around his neck he can’t resist for long and runs back to them, preferring to be disabled and rich to being honourable and ‘upright’. It seems the King and his neurotic queen will remain untouched by the suffering and corruption inflicted on their subjects but, of course, the people eventually find a voice which must be heard; in the end the two meet their doom at then hands of an uprising. The play is both light and deep, comical yet ghastly. It is lighter than a serious play yet not ludicrous enough for a pantomime. In short, it defies definition using western terms. 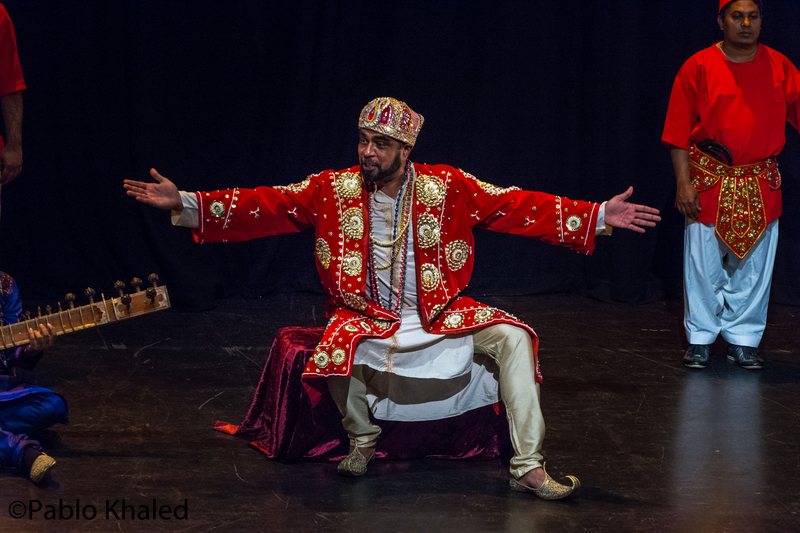 This play was particularly important to me as it is the first Bangladeshi cultural performance I have been to in the UK since returning from living in Bangladesh for around six years. Over in Bangladesh (the ‘land of festivals’ where there is seemingly a public holiday every month for some moment of importance or another) I was used to cultural events all the time. 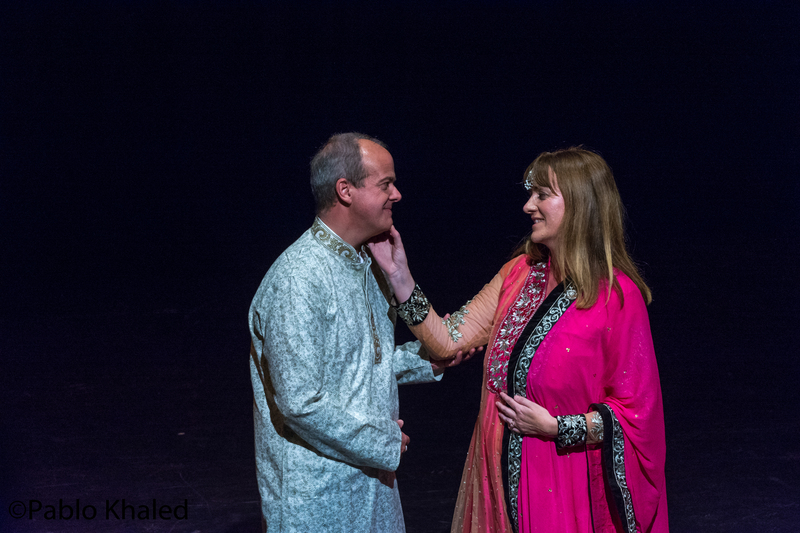 It seemed as though my Bangladeshi friends were ready, at the drop of a hat, to dress up for plays, sing songs, dance or play musical instruments after months of (often painful-to-hear) practice in front of a large, appreciative crowd. Even I was persuaded a couple of times to perform a raga on my sitar, battling both the humidity which re-tuned my instrument in an instant and my own lack of ability. In Britain however, it is easier to get blood from a stone than get the reserved and comfortably lazy Brits on to a stage to ‘make a fool of themselves’. Thankfully, ADDA has tapped into the Bengali nature of the British Asian community and even persuaded a couple of bideshis (foreigners) to bravely join in. 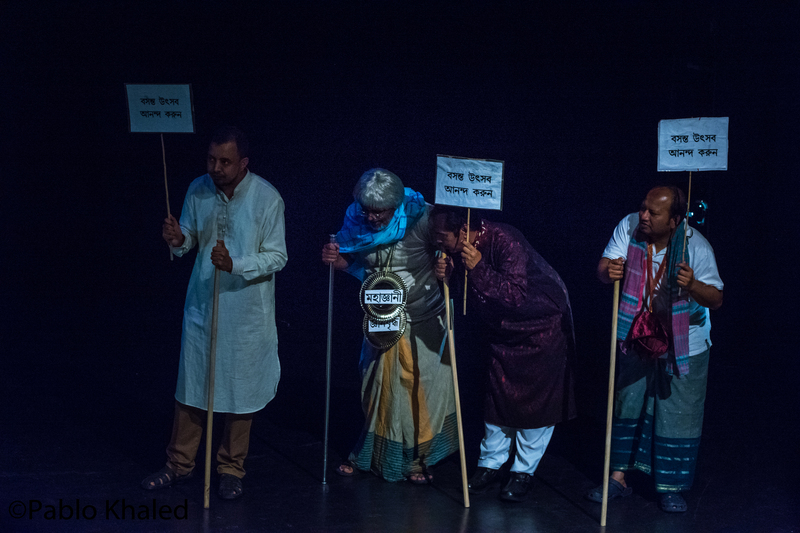 The imagery and metaphor of the play seemed to me immediately obvious and relevant to current times for both British and Bangladeshi cultures. 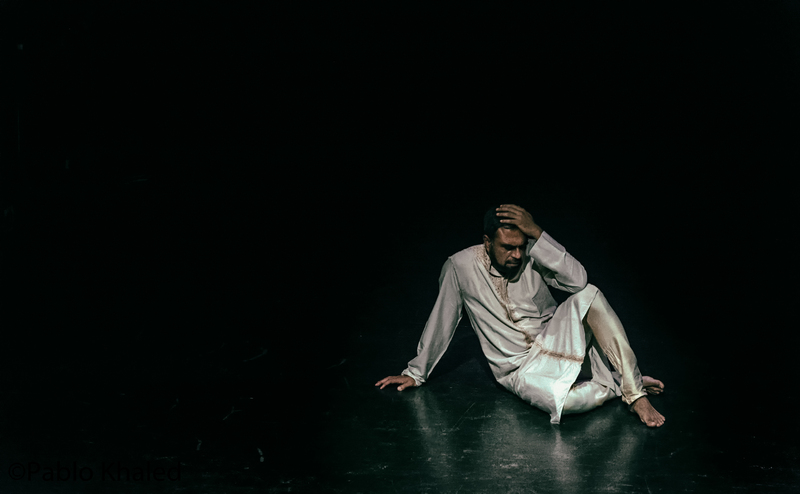 I was pleased to find out, as I researched the background of the play for this review, that Humayun Ahmed wrote it in the 1980s during the time of H M Ershad‘s autocratic rule and the character of the king has been seen by commentators to represent him. I sometimes think that Ershad should be called ‘the world’s favourite dictator’. As head of the military, he seized control of Bangladesh in 1982 after a bloody decade since independence which saw the assassinations of both father-figures attributed with forming the nation because of deep political and ideological divides. For eight years he brought a certain amount of stability to the country and was honoured with internationally acclaimed awards for his work in the country. Yet he also pushed for Islam to be made the state religion in a move which was counter to the principles on which the country had been founded. After a bloody war in 1971 which had centred around what it meant to be a true Muslim, Bangladesh had formed on the basis of secular rule so that all people were free to practice their religious beliefs in peace. Ershad was trying to heal a deep divide in the nation with this ‘bribe’ but failed and the wound festers to this day. No matter how popular his reforms, a non-democratically elected dictator Ershad was nonetheless and an uprising against him led by the two ‘iron ladies’ of Bangladeshi politics led to his resignation in 1990 and subsequent conviction and imprisonment for a period of time. Afterwards he continued to play a political role and still leads one of the largest parties in the country. Both Kaleda Zia and Sheikh Hasina, the aforementioned ladies, have courted his favours since ousting him. Bizarrely (though oddly very Bangladeshi) during my time living in the country I watched Ershad refuse to take part in national elections – as most parties did out of fears for the democratic process – and then be forced to take part anyway as he was physically prevented from withdrawing his candidacy by the deadline. This former dictator was duly elected to a parliamentary post against his will and I was left thinking “only in Bangladesh could this happen”. Recent political upheavals in the UK however have left me wondering. For me then, Nripoti symbolises not just the Ershad regime in the 80s but politics both in Britain and Bangladesh today (I’m sure many other places too but I’m only familiar with these two to any extent). The King is naive and innocent in many ways, wishing only the best and refusing to look at the worst: a trait many of us would praise as a positive way of looking at life; it’s just not what you want a ruler to do. Even when he has the court musician’s eyes plucked out, the King does so because blind musicians sing better. This is a good reason surely? Everyone wins with the enhanced beauty the actions produces. The man’s eyes are just a small sacrifice for the good of all. How often have we heard this? Austerity is a small sacrifice to make for the riches we will enjoy later. How we will make Britain beautiful again by surgically removing ourselves from the ugly body of Europe. And so we pick up the burden of our greed and carry on our daily lives, stooped over with breaking backs while the leaders tell us that austerity is working when it isn’t and that Brexit was a good thing but deny the problems which have arisen since. Nothing to see here, they say, but flowers in winter. And it is no different in Bangladesh. There is no ISIS movement, Hasina’s government has insisted for well over a year now. These murders of foreigners, Christians, Hindus and other non-Muslim minorities are merely the work of our political enemies. A local affair; we are dealing with it. The growing grip of extremism is ignored. There is no need to hear the complaints of the intellectuals, the students and the ordinary working people. It is all in hand and the government is assuredly making everything right. But it is perhaps the people – us – who are condemned most by the writer. The King is almost always jovial – manically so at times – but it is the people who wither and deform under their own greed. We bring this on ourselves, seems to be the message, and this remains true today. For the whole of the play, the people are corrupted and disfigured and it seems to the laughing king that nothing will end his power. When that end does come it is swift and certain. Eventually we wake up, the writer is telling us, and the power of the people will be overwhelming and crushing. It waits to be seen if and when this will happen in our current times. Personally, I loved the clash of cultures during the whole evening. I’m used to reviewing plays performed by predominately white players watched by an equally predominately white audience. Here I was in the minority. Rather than a hushed audience who all obediently turn off their mobile phones, here the whole audience chattered, took photos and, in at least one case, even answered a phone call during the performance. None of this detracted too much from the enjoyment but I smiled at how very non-British it all was. Were it not for being in a western-style theatre I could have believed I was back in my beloved Bangladesh rather than Manchester. After the blood-curdling ending, the cast joined hands to face a clapping audience and then a cheery song broke out. The whole audience joined in singing heartily. This was again, a clash which jarred in me. You just don’t sing in theatres! Especially after you’ve just watched two people clubbed to death. Then after the song and customary words of thanks from the director Apu Chowdhury (who also took the lead role of the King), members of the audience were invited to speak too. For the next twenty minutes or so, numerous people rushed to be able to give their words of thanks and appreciation. Finally, when all were thanked again and wished a safe journey home, the audience, rather than leave as directed, rushed the stage area and a mass photo-shoot took place. All of this was such a far cry from what I’m used to. It was invigorating. Giving up on any attempt to reach the main players to talk to them, I sat bemused and not a little jealous. This wasn’t a congregation of strangers come together to quietly and sedately enjoy a night out as you would find in almost any theatre in Britain. This was a community of people invested in each other and in relationship together. It was sublimely wonderful and very real and I wanted a part of it. This is the kind of relating to others which I have missed since my return to this island. This was community in action in a very positive and real way. Perhaps this is how revolution, of a sort, starts? I won’t go into how all the players did, naming stars and so risk missing someone out and offending. They all did well and performed admirably proving that ordinary folk can do remarkable things. I will mention I’m grateful for the role of the two English-speaking commentators who helped keep my limited Bangla on track as I listened carefully trying to pick up all the nuances of the language. It was a performance of which ADDA can be proud and I look forward to more performances in future.